Privacy Screens are generally made of Shade Cloth and is designed to block the view of your neighbor into your precious private areas of your property. 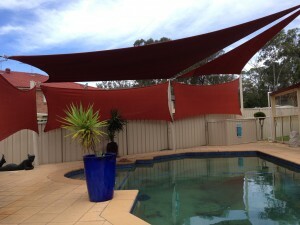 Brilliant Shade Sails can design and install a nice looking shade sail as Privacy screen within a short time frame. You could then enjoy the privacy you deserve without worrying about that unwanted looks from your neighbor. Privacy screens could be vertical or horizontal and we could advise you what is best suited for you, design and install them.